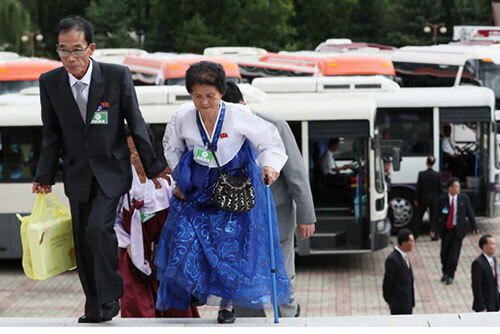 The Unification Ministry is seeking to hold inter-Korean family reunions on a regular basis. 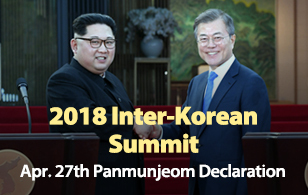 Amid a reunion event taking place at the North's Mount Geumgang resort, the government on Tuesday reported to parliament that the issue will be discussed at upcoming Red Cross talks, along with ways to allow inter-Korean trips to hometowns and how to confirm the survival of family members across the border. The report comes as the South Korean Red Cross chief said that he is working on arranging a visit to Pyongyang next month. Regarding a plan to open an inter-Korean liaison office at the Gaeseong Industrial Complex this month, the ministry said it is aiming to develop the envisioned facility into the offices for permanent representatives of South and North Korea.